US president Donald Trump. Picture: Getty Images. President Donald Trump’s former lead defence lawyer, John Dowd, last year raised the prospect that Trump would pardon Michael Flynn and Paul Manafort, The New York Times reported Wednesday. Flynn, the former national security adviser, pleaded guilty in December to lying to federal investigators. Meanwhile, Manafort, the former Trump campaign chairman, has pleaded not guilty to dozens of charges against him as part of the special counsel Robert Mueller’s Russia investigation. John Dowd, the former lead defence attorney in charge of managing President Donald Trump’s communications with the special counsel Robert Mueller, suggested the possibility of pardons for two of the most critical figures in the Russia investigation at the height of the inquiry, The New York Times reported Wednesday. Citing three people with knowledge of the discussions, The Times reported that Dowd last year spoke to lawyers representing Michael Flynn, the former national security adviser, and Paul Manafort, the former Trump campaign chairman, as Mueller’s investigation was closing in on both men. According to The Times, Dowd broached the subject of a possible pardon with Flynn’s lawyer, Robert Kelner, last summer, and with Manafort’s, Reginald Brown at the time, shortly before Manafort’s indictment in October. James Comey, the former FBI director, testified last year that Trump had asked him multiple times to drop the bureau’s investigation into Flynn. 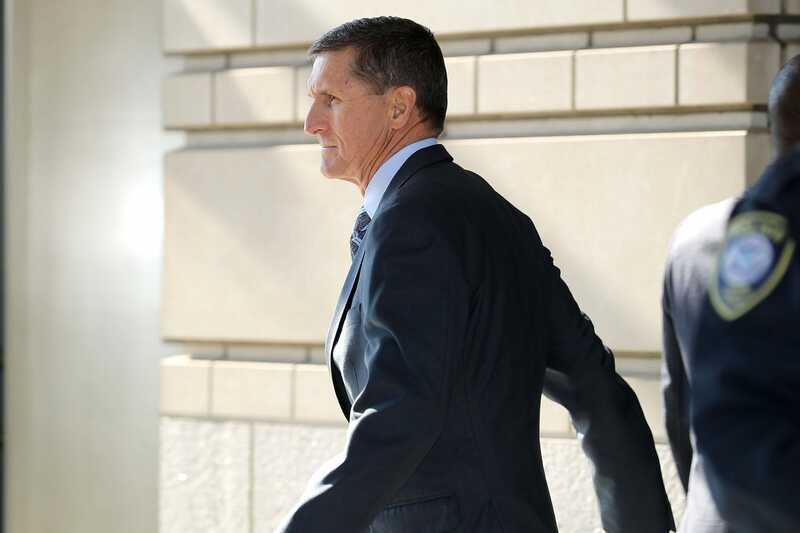 Legal experts said that if Trump knew Flynn had misled investigators when he asked that of Comey, as his December tweet appeared to indicate, it would significantly bolster the obstruction-of-justice case Mueller has been building against the president since last year. The campaign’s move to gut an amendment to the GOP platform that called for increased US aid to Ukraine. Top campaign operatives’ meeting with two Russian lobbyists offering dirt on the 2016 Democratic presidential nominee, Hillary Clinton. Dowd, Trump’s defence attorney Jay Sekulow, and the White House lawyer Ty Cobb all told The Times that there had been no discussions of possible pardons for Manafort and Flynn at any point during the investigation. “The president’s power to pardon is absolute and not subject to review even if he does it for political reasons,” said Jeffrey Cramer, a former federal prosecutor who spent 12 years at the Department of Justice. “A president pardoning defendants if they don’t plead guilty – and ‘cooperate’ is the unspoken word here – would be a new use of the pardon power,” he said. Andrew Wright, an associate in the White House counsel’s office under President Barack Obama, highlighted that Dowd, Cobb, and Sekulow had all denied that Dowd broached the possibility of pardons for Flynn or Manafort.